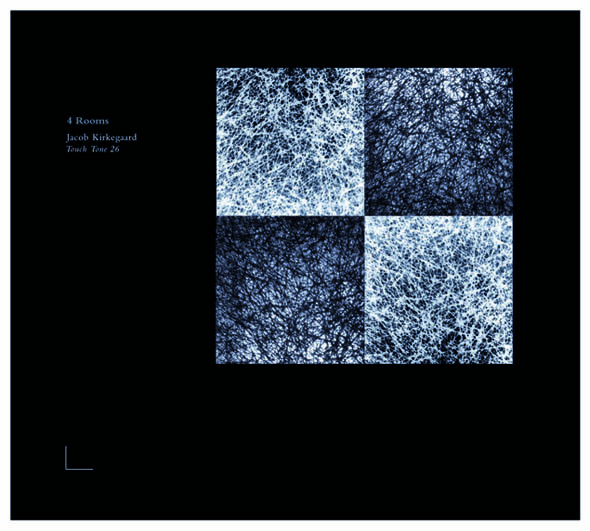 This is Jacob Kirkegaard's 2nd CD for Touch, after Eldfjall [Touch # T33.20]. Born in Denmark, now living and working in Germany, here he explores the sonic legacy of one of the worst man-made disasters in human history. The Chernobyl nuclear power plant exploded on April 26, 1986; clouds of radioactive particles were released, and the severely damaged containment vessel started leaking radioactive matter. More than 100,000 people were evacuated from the city and other affected areas. Despite the fact that radiation is still being emitted from the nuclear disaster site, the 900-year-old city of Chernobyl survives, although barely. As of 2004, government workers still police the zone, trying to clean up radioactive material. Many — mostly the elderly — have decided to live with the dangers and have returned to their homes in the zone's towns and villages. Their population was highest in 1987, when there were more than 1200 people. In 2003, there were about 400 and now 350 are registered. The effects on the environment were catastrophic: huge areas of northern europe were dosed with radioactivity. This work is a sonic presentation of four deserted rooms inside the 'Zone of Alienation' in Chernobyl, Ukraine, recorded in October 2005. Jacob Kirkegaard deliberately picked rooms that once were active meeting points for people. The rooms he found and recorded were abandoned abruptly, urgently, and for good. Their inhabitants were evacuated by Soviet military and were forced to leave all their belongings behind. On April 26th, 1986, the explosion of Reactor 4 of the Chernobyl Nuclear Power Plant had removed all possibilities of human survival in the vicinity. From a technical point of view, Kirkegaard's "sonic time layering" refers back to Alvin Lucier's work "I am sitting in a room" . He recorded his voice in a space and repeatedly played this recording back into that same space. In Kirkegaard's work, however, no voice is being projected into the rooms: during the recordings he left the four spaces to wait for whatever might evolve from the silence.